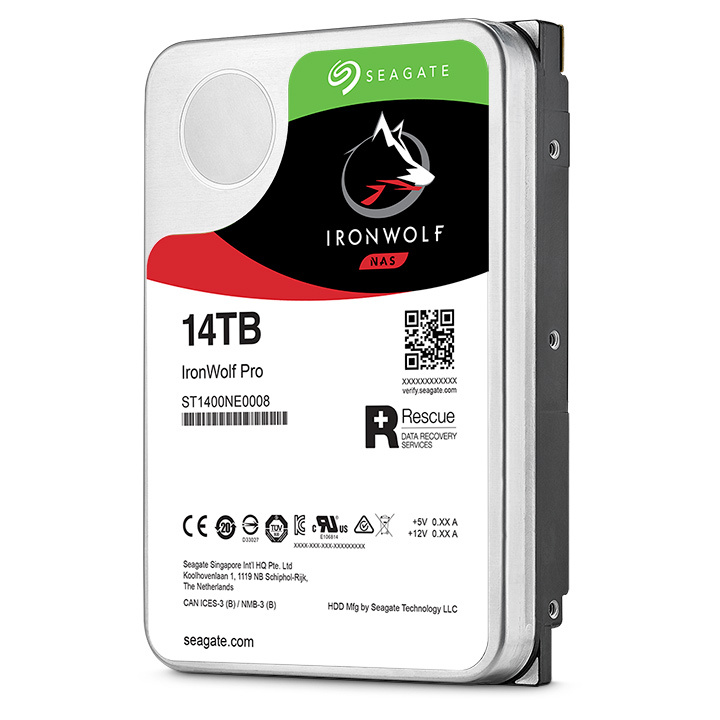 The Seagate IronWolf Pro is a 3,5 inch for surveillance and a storage capacity of 14TB. 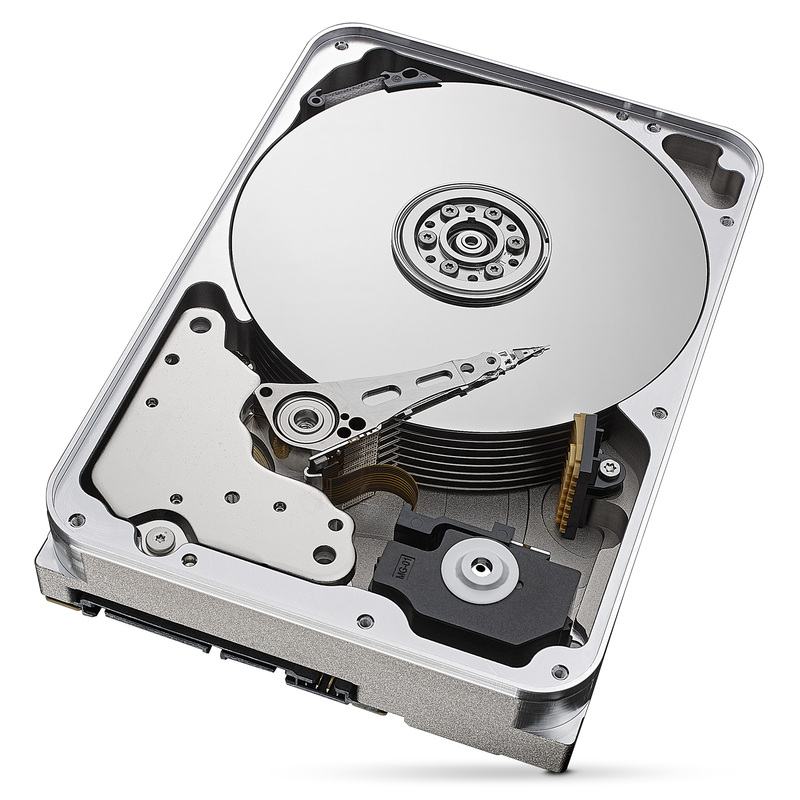 The Seagate IronWolf Pro heeft een SATA 6 Gb/s interface, rotational speed of 7200 RPM and 256MB cache. The hard drives in the IronWolf Pro series are enhanced with AgileArray™ technology, NAS-optimised for the best NAS experience possible, AgileArray focuses on drive balance, RAID optimisation and power management. Enabling user workloads of up to 300 TB/year with IronWolf Pro, multiple users can confidently upload and download data to a NAS server. The most suitable applications for the IronWolf Pro drives are for 1 to 16 bays, Creative Pro, SOHO, SME NAS. - Optimized for NAS systems with AgileArray ™. AgileArray provides dual-plane balancing and RAID optimization in multi-bay environments with the most advanced form of energy management possible. - Protect your NAS with IronWolf Health Management where prevention, intervention and recovery are central. 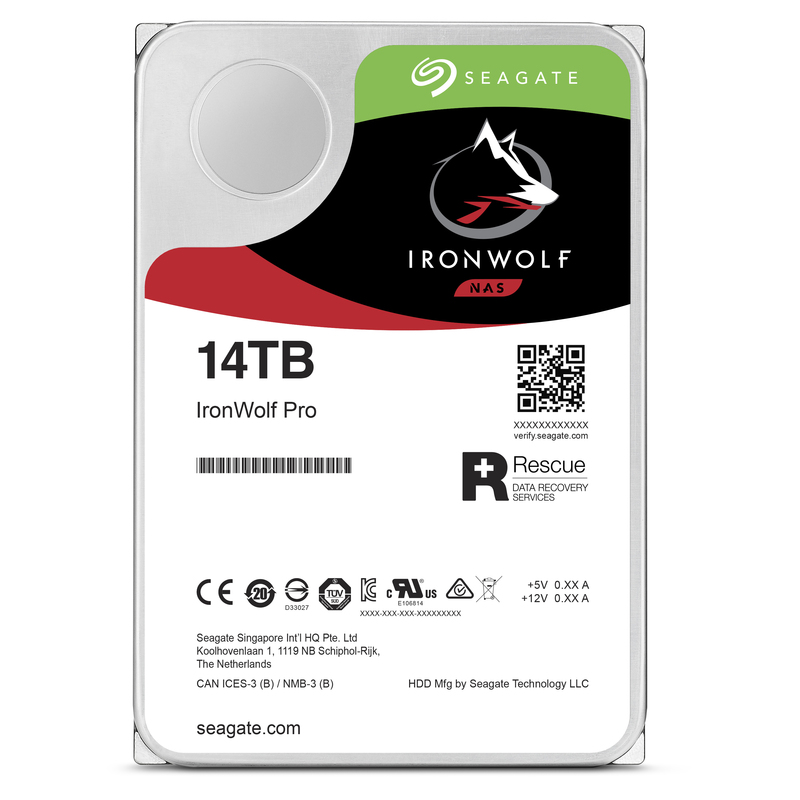 - Seagate® Rescue Data Recovery.3 IronWolf Pro provides a bit of extra peace of mind with mechanical or unforeseen faults or natural disasters. Data recovery has a 90% conversion rate with us, so you can rely on the two-year Rescue Data Recovery plan. - Rotational vibration sensors (RH sensors). First drive in its class with built-in sensors, for high performance in NAS enclosures with multiple disks. - Storage capacity up to 14 TB. More storage capacity means more choices that remain within the budget. Seagate offers scalable solutions for every NAS need. - Do more in multi-user environments. 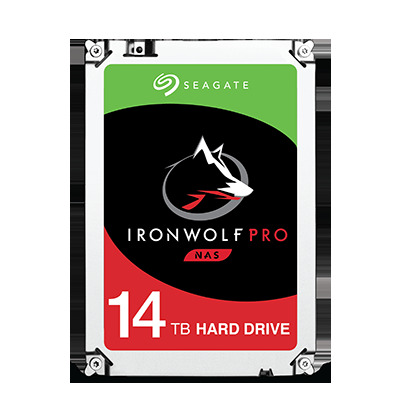 IronWolf offers a maximum workload of 300 TB per year. Several users can upload and download data from the NAS server without any problems. IronWolf can handle it, whether you are a creative professional or have a small business. 1.2 million hours MTBF and 5 year limited warranty ensure optimal total cost of ownership (TCO) for desktop drives, with minimal maintenance costs.